With health insurance swallowing benefits budgets like a bridge-dwelling troll, you’re probably feeling the squeeze to lower costs across the rest of your benefits offerings. It’s likely you’ve felt pressure to increase the amount of voluntary benefits you offer. They’re “free” to the company, after all. Before you go all-in on a huge laundry list of voluntary benefits, be warned: there are risks with offering too much. Since we’ve poured cold water on the idea of adding lots of voluntary options, it’s only fair we talk about what you should look for in voluntary benefits. After all, there are a lot of options out there. Vision, dental, disability, and life insurance are the most common, but today you have the option for much more. Pet insurance, auto insurance, financial planning, education counseling, identity theft protection, and much, much more are all common voluntary options now. 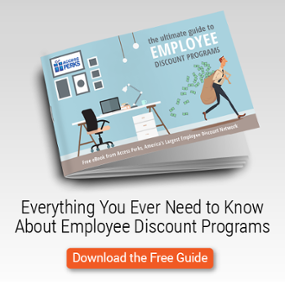 Some companies even offer our employee discount programs on an opt-in basis. You can’t just chuck ‘em all out there. Be picky, and use these criteria to evaluate what you should and shouldn’t add to your menu. Good benefits solve problems and help people improve their lives. The best way to find out those problems and how your company can help? Informal conversations are helpful, but formal surveying can give you data that will help make the case for a benefit to executives. Since this article is dealing with voluntary benefits, you’ll need to focus the conversation on what can realistically be added to your menu. An open-ended survey will most likely just lead to employees anonymously asking for more salary and unrealistic benefits. Benefits provide a great canvas to showcase your company’s uniqueness, but keep an eye on what others in your industry and area are offering. You don’t necessarily need to copy them benefit-for-benefit, but use other companies as a barometer for what’s trending and valued in the industry, as well as your geographic location. Try to identify and at least meet a baseline with voluntary benefits, which traditionally include life insurance, extra disability, and things of that nature. Your company sponsored benefits are where you can truly get creative and unique, but you should at least meet common standards with your voluntary offerings. Few people in a company are as attuned to the overall culture and environment as HR. As such, run every potential benefit under consideration through that cultural filter. Does this benefit fit in with our overall goals and employee community? Is it going to enhance the culture and your employer brand? It’s not that a voluntary benefit can somehow hurt your culture, but some items just aren’t a fit. The risk would be adding one option in lieu of another that employees may desire strongly. Benefits need to be as attractive to potential employees as they are to current ones. But you can’t completely cater your offerings to people that aren’t even in the company yet. The key is to focus on your ideal employee. If you look across your entire organization, great employees have commonalities. These are the people (and traits) you want to nurture and attract. Every aspect of your internal organization - including benefits and corporate perks - should be geared to recruit and engage these valuable team members. Voluntary or not, crafting a strategic, valuable set of benefits takes some effort. There’s an art form to knowing what people need and want the company to provide. You could go with a splatter approach like Jackson Pollack, but it might be better to go with something focused and familiar. 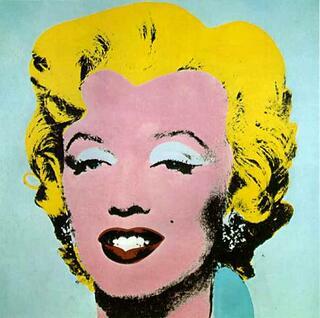 Andy Warhol, perhaps? Regardless, it’s wise to use the resources available to you to create a sharp menu from which employees can choose their coverage. Rely on your employees and your knowledge of your company culture to create a package that keep you competitive with the ideal targets in your industry and community.